2017 has been a busy year for Germany-based EOS, but the year isn’t over yet as the company continues on its stretch of progress. While the recent formnext event in Frankfurt played host to tens of thousands of visitors and hundreds of exhibitors, EOS made itself heard above the noise of its hall with a well-attended press conference revealing its newest polymer 3D printing system, partnership announcements, and a look into the company’s well-structured vision. EOS continues to work with its expanding network of partners on a variety of applications, from direct metal printing of fine jewelry with Cooksongold to new plastic powder development with BASF, and had a lot to show during the Frankfurt event. 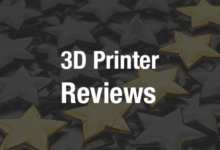 EOS’ industrial 3D printing systems are well known throughout the industry, proving themselves frequently with high user ratings and multi-unit customer investments. While we have heard a great deal from the company regarding their expertise with metal 3D printing technologies and applications, the focus at formnext was largely on polymer technologies and their applications in industry. The company’s installed base of 3D printers are relatively evenly split between the two technologies — about 51% compared to 49% metal systems. During the EOS press conference, company executives addressed several business strategies and approaches to market. EOS GmbH CEO Dr. Adrian Keppler discussed the company’s strategy, beginning with a few key descriptors that together define a great deal of the approach: partners, customer-centricity, innovation with quality, digitalization. That preparation has been evident as the company has opened a new facility, with a 9,000-square-meter site that can produce more than 1,000 machines per year working one shift. EOS, Keppler said, is “ready in our supply chain to scale up with our bigger customers.” Approximately 200 service technicians are available to support customers through product lifecycles, as the company ensures close and ongoing relationships. Through investment activity, for example, EOS sees that “investing in new technology is interesting for the whole industry.” Keppler additionally pointed to applications and several customer stories. In discussing this application-driven future, Keppler introduced the newest such activity for EOS as the company teams up with Under Armour. Based on EOS’ latest machine, the polymer P 500 3D printer, which was dramatically revealed with a curtain drop during the press conference, EOS is stepping into footwear, a burgeoning and increasingly busy application for 3D printing technology. “There is a clear path: find the application, develop or optimize it for additive manufacturing, ramp up production, and certify and scale production,” Kara explained. Pointing to EOS’ work with Daimler EuroBus as an example of best practice, Kara highlighted that spare parts is a $10 trillion market, of which perhaps $500 billion is addressable by 3D printing. This is a major market opportunity, and manufacturers are taking notice on both the additive manufacturing and automotive sides. Validation of processes and materials is critical to any technology to be scaled, and is coming more into the limelight as an area of concern for additive manufacturing as newer technologies make their way into production. Tying together the themes raised during the formnext press conference, this week more details on EOS’ work with Under Armour have come to light as the two companies share a bit more about their partnership, explaining that is intended to develop advanced, scalable laser sintering 3D printing technology. Under Armour has been working with 3D printing technologies for some time, introducing its first approach to incorporating additive manufacturing into shoe production last year with the ArchiTech sneaker. Introduced this spring, the ArchiTech Futurist features a 3D printed midsole. The strategic partnership builds on both companies’ “vision to advance commercial 3D printed footwear,” says the latest announcement. Through this partnership, EOS and Under Armour are set to collaborate on development of polymer powder and an advanced laser sintering platform. EOS’ Additive Minds service will also work with Under Armour to further advance its additive manufacturing program and focus. The intention is for scale production of performance footwear incorporating 3D printed elements. Back in Frankfurt, I had the opportunity to check out an ArchiTech Futurist shoe up close, as over coffee DyeMansion CEO Felix Ewald told me a bit about the process of finding just the right shade of grey for the midsole. Close collaboration with all partners is critical as the pieces come together in ambitious designs like these for mass-produced commercial shoes, and DyeMansion has been working in concert with EOS and Under Armour to ensure all the parts fit seamlessly for one cohesive design.